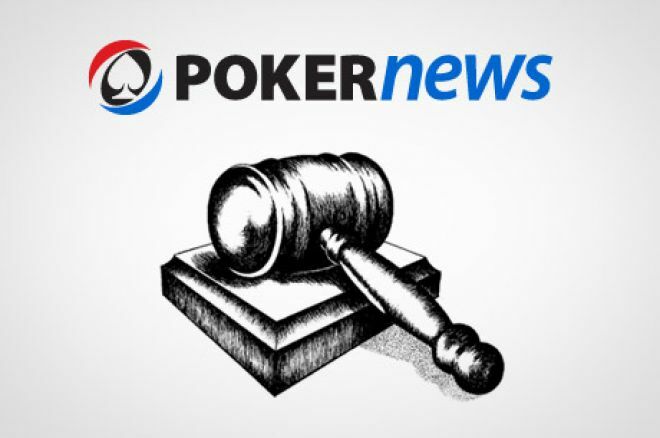 Full Tilt Poker (FTP) and PokerStars are facing more legal repercussions in the form of a lawsuit filed by software company, Cardroom International. The lawsuit was filed simultaneously in the U.S. District Court of the Southern District of New York, and the Santa Monica Division of the Superior Court of California. In the lawsuit, Cardroom International declares "ownership interest in, and makes a claim upon" the five bank accounts for which warrants in rem were issued in September, as well as "all other property that has been seized or will be seized in this proceeding at any time, directly from and/or related to" PokerStars and Full Tilt Poker and "all funds identified in the original forfeiture complaint in this action unsealed on April 15." A press release regarding the complaint states, "Cardroom sought to license its software to major media companies for use on their sports-related sites. Between them, the PokerStars defendants and the Full Tilt defendants entered into agreements whereby they provided such play money services to ESPN/ABC, Fox and NBC. At a meeting with one of the aforementioned networks, the CEO of Cardroom was informed that adoption of his system faced the barrier of the purchase of airtime on the network by PokerStars companies, as the PokerStars companies were tying continued purchase of airtime to use of their software and system on the network's website. Within weeks of meeting with this network, the network announced a deal with PokerStars. The bulk of the money utilized by the PokerStars defendants to purchase time for poker television programs came from funds illegally obtained from United States poker players. Though Full Tilt did not directly interfere in the potential transaction between Cardroom and the network, it was due to the joint conspiracy of the PokerStars defendants and the Full Tilt defendants alleged below that both companies achieved their dominant position in on-line poker." Cardroom International "claims a right, title and interest" in the identified funds "based on damages suffered as a result defendants' violation" of the Racketeer Influenced and Corrupt Organization Act (RICO) "in an amount no less than $30 million." The claim names Chris Ferguson, Howard Lederer, Ray Bitar, and Rafe Furst specifically, claiming rights to the funds seized from their accounts which "cannot be effectively traced to any specific criminal activity violating the laws of the United States, as they are intermixed proceeds of fraudulent activity lasting many years in violation of the laws of the United States, combined with proceeds of legal foreign wagering and other legal activities." According to the claim, the United States' claim on the funds is "limited to the gross proceeds of the activities occurring a year before the relevant versions of the civil forfeiture complaints was filed" and says that all "excess amounts seized should be made available to creditors of the named defendants." Further, the claim states, "all funds seized which the United States cannot demonstrate arise from illegal activities specified in 18 USC Section 981 within one year of the relevant date should be given to Claimant in the amount of $30 million or the sum of judgements obtained against any of the named defendants, whichever amount is less." Read the entire claim on Dockets.Justia.com.